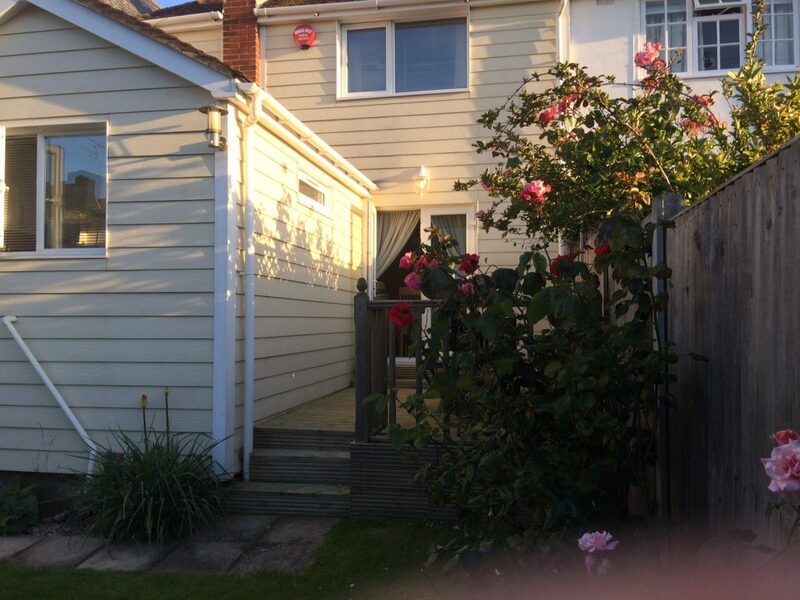 This two bedroom cottage is set in a peaceful central location, only 5 minutes from the beach and shops. 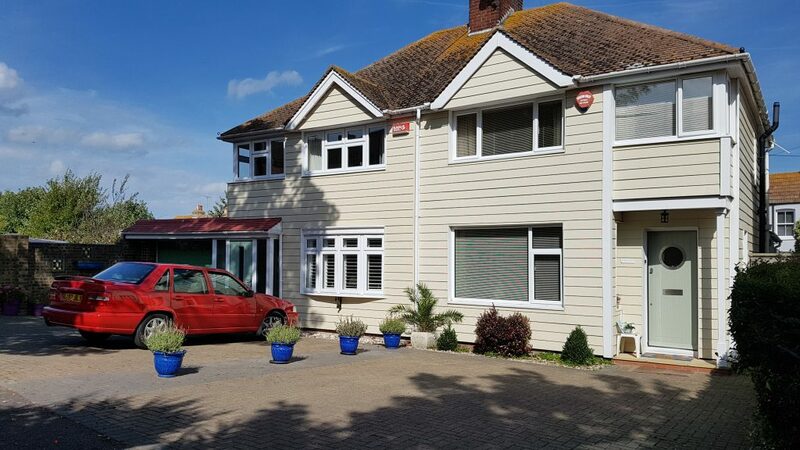 Paving on the front of the property with off-road parking for 2 vehicles – an important facility with expensive and limited parking in busy Broadstairs. Bright entrance hall leading into the Lounge – 40” flat screen digital TV with Freesat Digital TV, Humax PVR and DVD player. Free WiFi is available. Wide selection of DVDs and books available. Separate Dining Area – with dining table, 4 chairs and high chair. Radio/CD/Cassette player. Double doors lead onto pretty decked garden breakfast area. Thermostatically controlled shower cubicle and WC on ground floor. First Floor Front Bedroom – double bed with luxury memory foam mattress, duvet, bedside tables with lamps, radio alarm, dressing table, fully fitted wardrobes, fitted carpet, there is also a greco travel cot available as required. 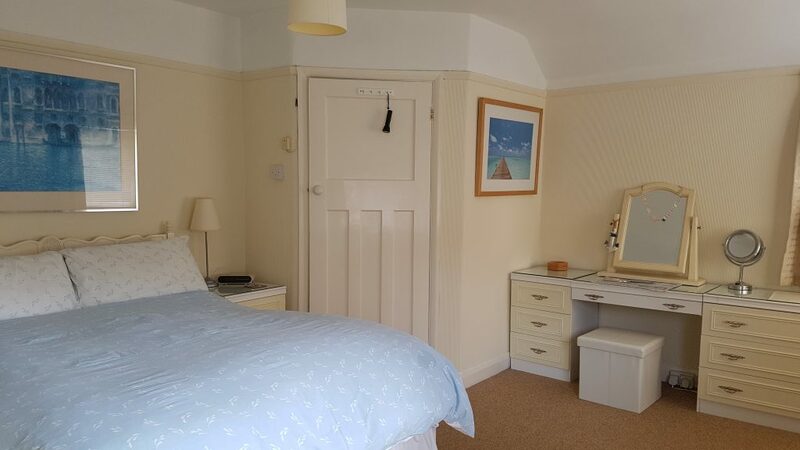 Rear bedroom – overlooking the back garden, good size double bedroom containing two single beds with duvets, bedside lamp and table, multi drawer unit and single wardrobe, fitted carpet. 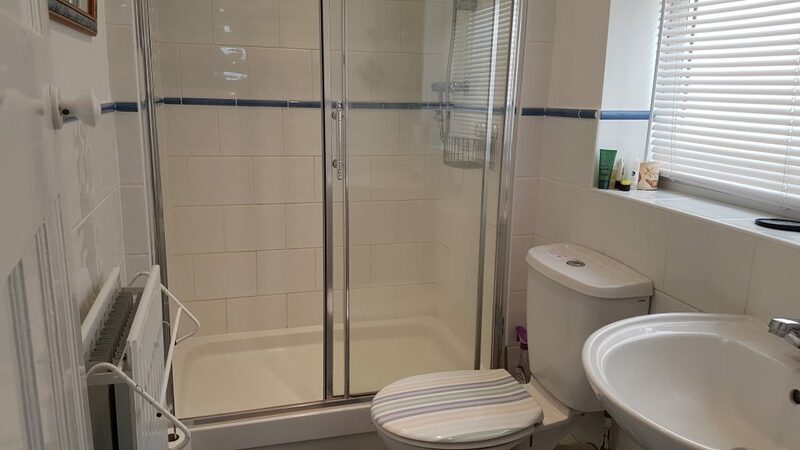 Bathroom/Shower Room – bath (incorporating a thermostatically controlled shower), washbasin and adjacent, separate WC. Small Walled Rear Garden (with decking, table and 4 chairs) – private, pretty and secure offering a safe play environment for small children away from public highways. 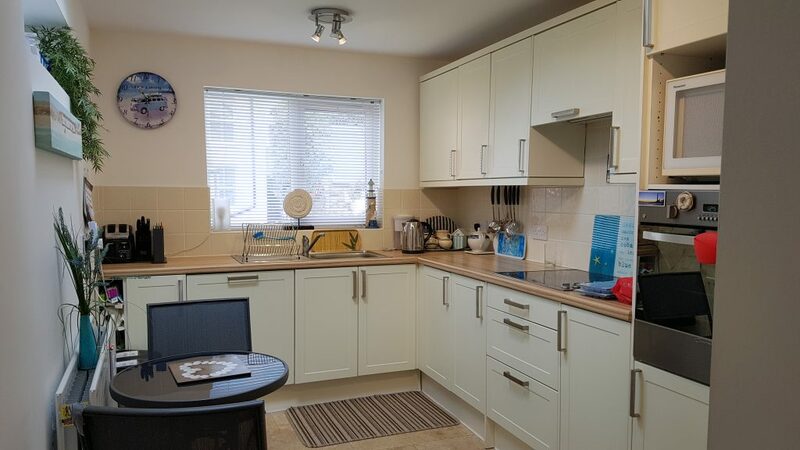 All bed linen and tea towels are included and property is cleaned at each turn around (which is usually weekly). Electricity usage together with Gas central heating and hot water is included in the rental price. 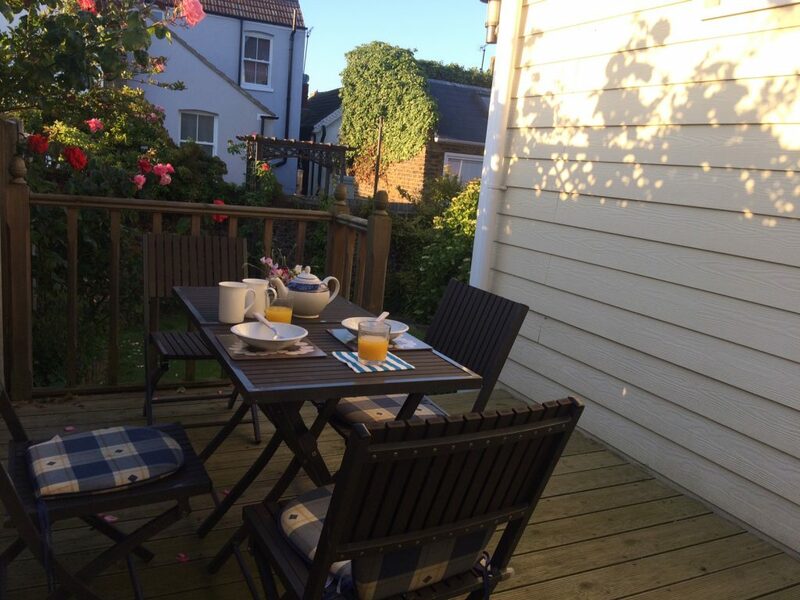 This two bedroom cottage is set in a peaceful central location, only 5 minutes from the beach and shops.